Some very happy branding and website design! Hello Happiness helps people feel happier and more fulfilled through workshops, retreats and positive psychology coaching. This was a really fun project to work on. 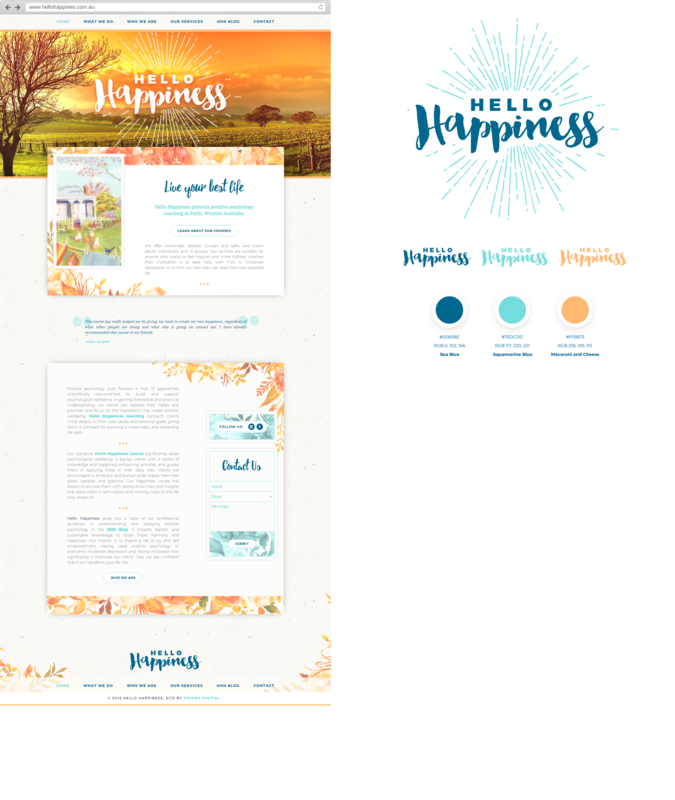 Josh, our designer was able to get super creative, coming up with a beatifully warm and friendly brand identity and website. We hope this one brings a little brightness to your day!